"On my last holidays I was in Sevastopol. 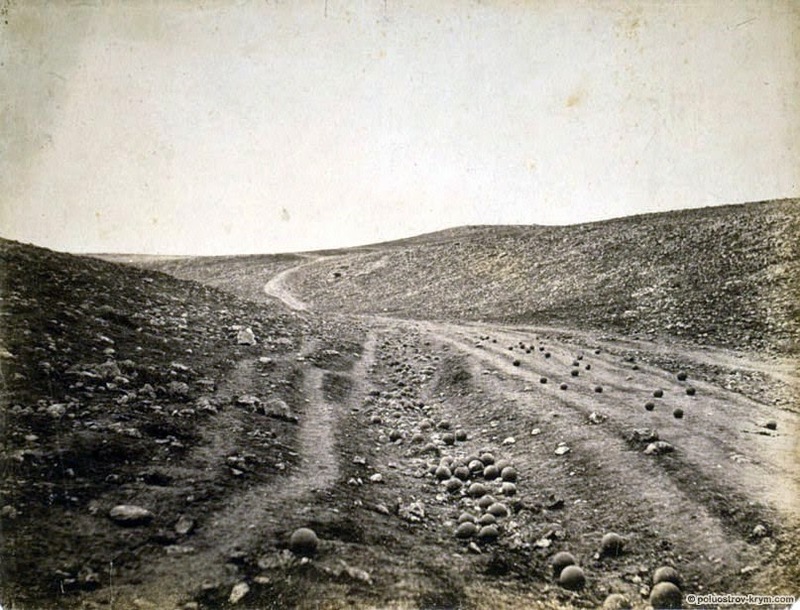 I really wanted to reach the place of the battle of Balaklava of 25th October 1854 and to find the memorial to the cavalry of the Light Brigade, so I even asked Luba to make me a red poppy to take with me there. And I found it! I thought that Simon hadn't seen this spot, so I tried to make some kind of images just in order to show what is there just now. I don't know how to photograph, and it was also rainy and windy, but even so I will show you what turned out. The valley itself is now covered in grape vines, and the obelisk is among them. There isn't any path to it, and the obelisk itself is overgrown with dried thistles. But the place of the action itself is very recognisable. I attracted a ton of mud and burs to myself, but I'm really delighted that I made it through! Now they too have a red poppy, and maybe one day I will be able to show you this place too." "P.S. Just a few words more to the story. The next day in Crimea I went to ride horses with my friend a Crimean cossack not far from Sevastopol and I told him the story of the Light Brigade. As I was wondering how it was even possible, we found quite a similar hill and mounted it galloping. So I had a better idea what was it like, when you feel you are assaulting a wall and meet cannon fire from the skies..."